Description: Ranger is a sable and white weighing about 70 pounds. 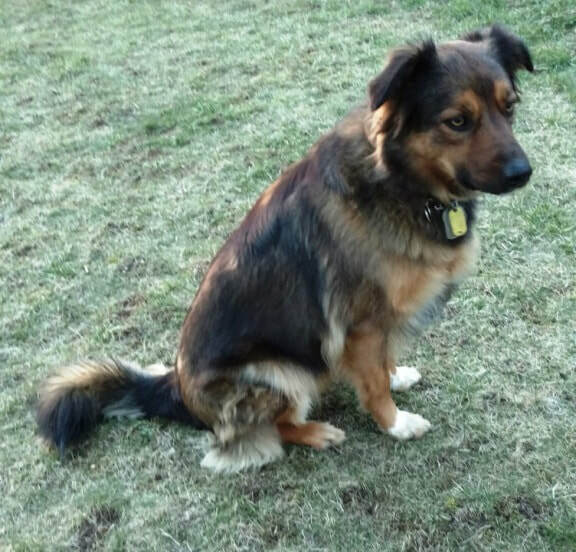 Personality Info : Even keeled, laid back, calm, very biddable, a smart and outgoing temperament, natural herding drive. He loves people of all ages and gets along well with other dogs. Obedient and natural athlete. 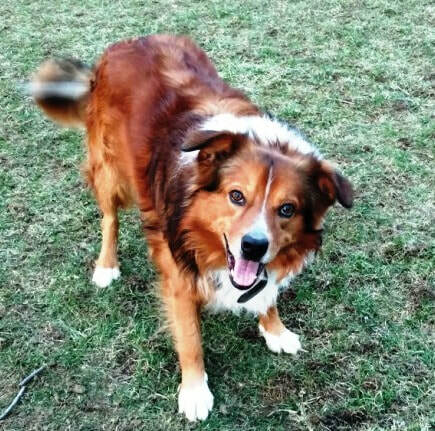 Ranger is self-assured and confident, obedient, responsive, affectionate, very rule-oriented, good with cats, watches the property well, warms quickly to strangers, did well with goats, cows, and horses while farm sitting. He is very athletic and loves to play Frisbee. He loves to be with me and feels better when he can see me while I'm working outside. Description: Breezy is dark sable with minor white on feet and chest with a soft low-maintenance "Teflon" coat, weighs 45-48 pounds, she is a little bossy and quite vocal, very affectionate, loves attention, playful, and is one of my dogs that goes kayaking with me. Breezy is self-assured and confident, obedient, responsive, affectionate, and very rule-oriented. She respects our house cat and loves to play with our other dogs. This is Breezy's second litter. Litter due April 6, 2019. Both Ranger and Breezy come from excellent established bloodlines (Ranger: Butcher, Beebe, Cimarron) (Breezy: Killarney Meadow, Forrest, Weaver, McVaugh, Dersam, Oney) which is displayed in their puppies. Puppies will be a mix of tri’s, sables, and black/tan. The litter is expected in early April 2019 and will be ready to go to new homes in early June. Our puppies from previous litters sired by Ranger have gone to every corner of the United States and the UK. The litter will go to the veterinarian for a checkup, receive first vaccinations, wormed prior to going to new homes. Both parents are available on site to view. Puppies will be handled daily and socialized. Puppies will be expected to go to forever homes with the desire and ability to care for this active breed. Located in south central Ohio very close to Kentucky and Indiana. Please email, text or call at 937-728-3417 with any questions, leave a message I will return your call. Did you own ES before starting your breeding program? Since 2010.